Designer bags are hand made of the finest quality. They all have two inside pockets and 2 outside pockets. 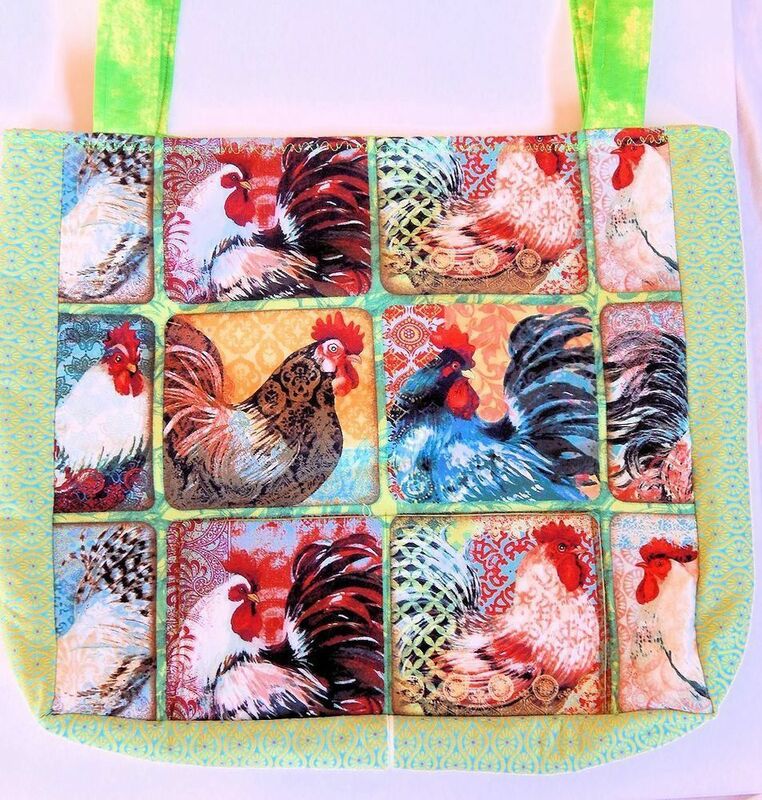 This one of a kind chicken bag measures 17 inches by 16 inches.